We thoroughly enjoyed our last Cooking Class for Better Health of the year at McPolin Elementary School on Friday. 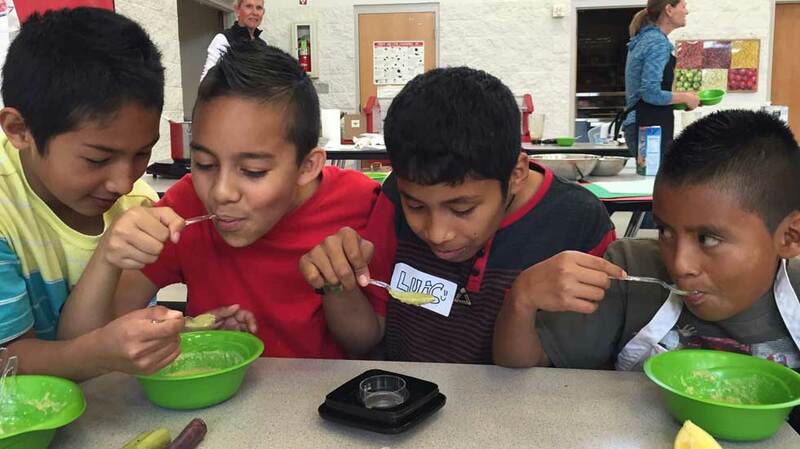 Huge thanks to Alex Malmborg, Excecutive Chef at Canyons Ski Resort, and Brian Prusse, Executive Chef at Park City Mountain Resort, for taking the time to cook Asparagus Soup with the K-5 students. It was a great excuse to get out the blender bikes again! Looking forward to more cooking classes this summer and next year. Special thanks to United Way, Holy Cross Ministries, Principal Greg Proffit, Whole Foods Market Utah, The UPS Store, Fairweather Natural Foods, and all the volunteers for helping us this school year.